I have an M.A. 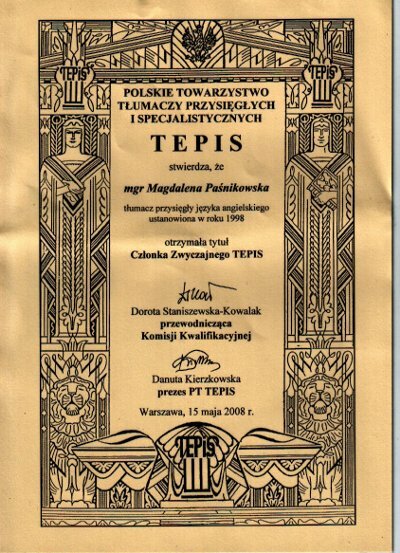 in English Studies from the Faculty of Modern Languages at Warsaw University, Poland. 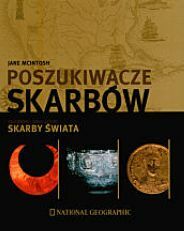 I have held the title of sworn translator (as granted by the Polish Ministry of Justice) since 1998. 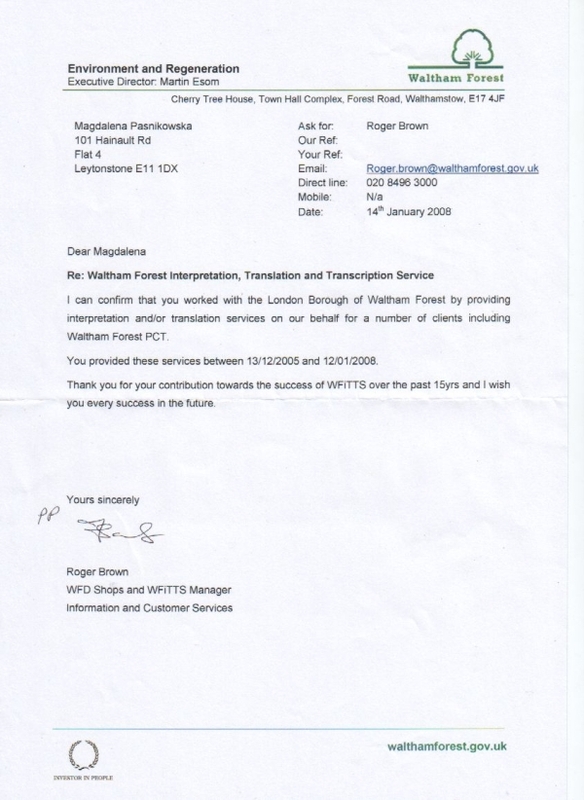 I have 15 years of professional experience in translation and interpreting. This means I have translated thousands of documents and successfully completed various interpreting assignments including farm accounting seminars, TQM/production audits, and financial negotiations. 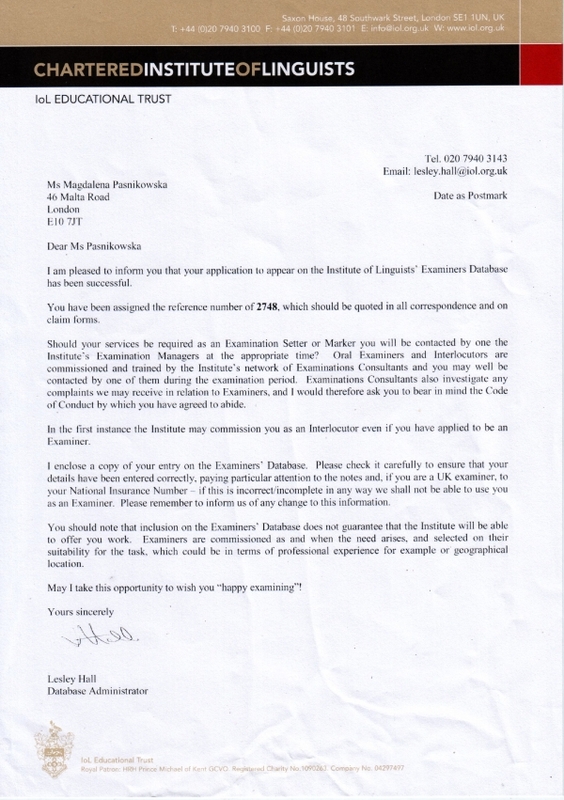 Institute of Linguists Educational Trust Polish examiner.